Waterloo – Wilfrid Laurier University’s chancellor Eileen Mercier has been named one of Canada’s 100 most powerful women by the Women’s Executive Network (WXN). She has also been inducted into WXN’s Top 100 Hall of Fame, which recognizes women who have won the award for the fourth time. The awards, which were presented at a recent gala at the Metro Toronto Convention Centre, honour women in the private, public and not-for-profit sectors who have advocated for diversity in the workforce and serve as an inspiration for the next generation of leaders. Mercier, who has been Laurier’s chancellor since 2016, has more than 45 years of leadership experience in a variety of industries, including financial services, communications and the paper and forest products sector. She is the chair of Payments Canada, the organization responsible for the clearing and settlement of financial transactions in Canada, and serves on the boards of Intact Financial Corporation and the Royal Conservatory of Music. Previously, Mercier served as chair of the Ontario Teachers’ Pension Plan board, president of Finvoy Management Inc. and senior vice-president and chief financial officer of Abitibi-Price Inc. She has been awarded honorary doctorates from both Laurier, in 2013, and York University, in 2010. Mercier graduated with a BA and academic gold medal from Waterloo Lutheran University, which was later renamed Wilfrid Laurier University. She went on to earn an MA in English from the University of Alberta and an MBA from York University’s Schulich School of Business. She served on Laurier’s Board of Governors for many years, including a term as chair from 1988 to 1990. During the university’s centennial in 2011, she was named one of the 100 Alumni of Achievement. In 2016, Mercier was appointed Laurier’s ninth chancellor. Mercier has been named one of Canada’s most powerful women three other times, in 2012, 2015 and 2017. In 2011, she was named one of Canada’s top 25 women of influence. 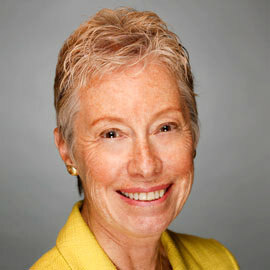 Two Laurier alumni, Shelley Martin (BBA ’85), retired president and chief executive officer of Nestle Canada Inc., and Carolyn Wilkins (BA ’87), senior deputy governor of the Bank of Canada, were also named among Canada’s top 100 this year, in the HSBC Corporate Executives and PwC Public Sector Leaders categories, respectively.